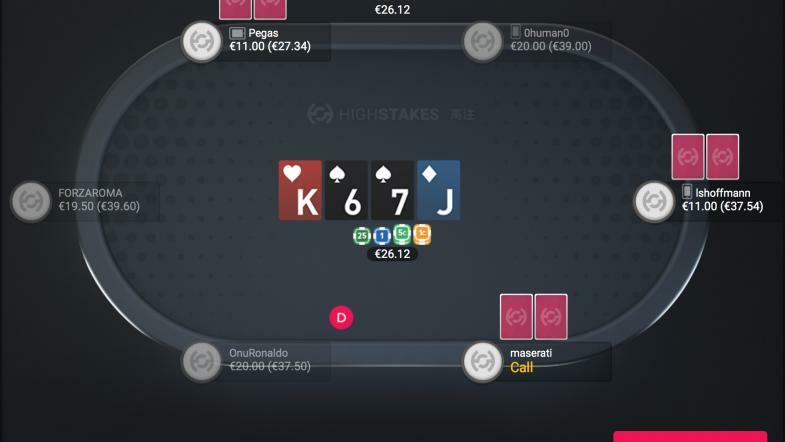 The enhanced software, allows HighStakes to offer more game types, higher limit tables and a switch from our main operating currency from USD to EUR. The new software is lighter, cleaner and less flashy - For users who love to play poker without the gimmicks, lure of casino and overwhelming flashing lights. Your balance is secure and HighStakes continues to operate a 3 wallet system: Main Wallet, Casino Wallet & Poker Wallet. Any balance in a user’s poker wallet has been converted into EUR currency at the exchange rate quoted by Google Finance at 09:00CET 05.11.18. All users can continue to deposit and withdraw from their main wallet as normal. We look forward to seeing you on the other side and are confident all users will find the enhanced software an improvement in almost every way. As always, our support agents are on standby to answer any questions you might have.